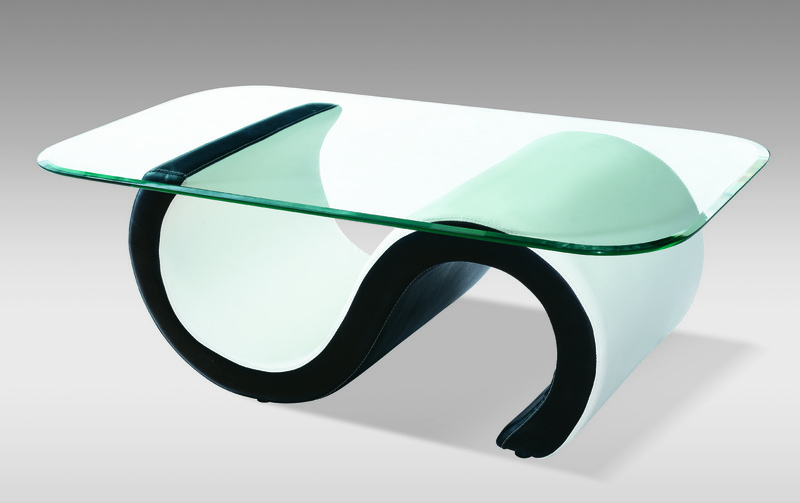 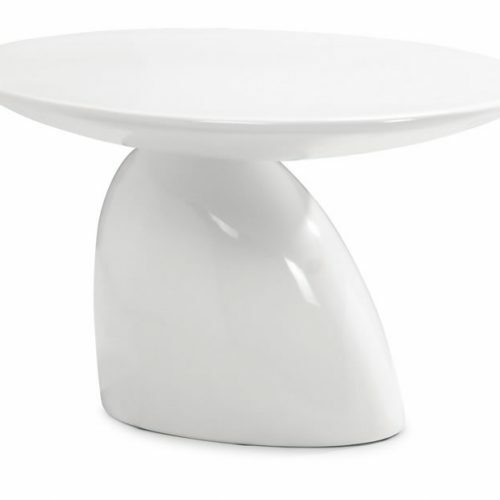 This highly unique, modernistic Arc Cocktail table will serve perfectly as a coffee table with an attitude. 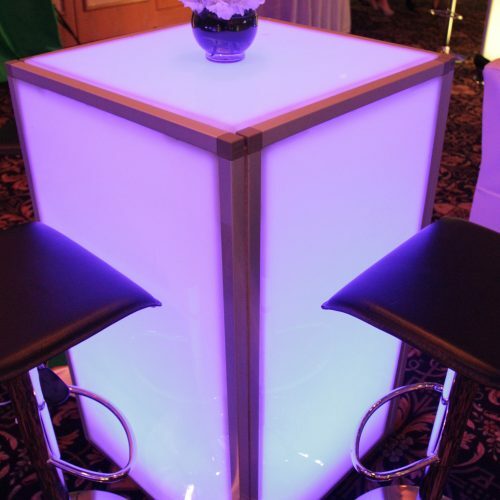 Its design definitely makes a bold and distinctive statement at your event. 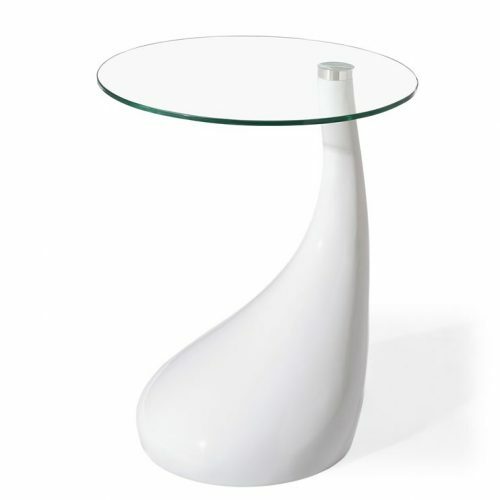 Features a leather base and thick tempered glass top. 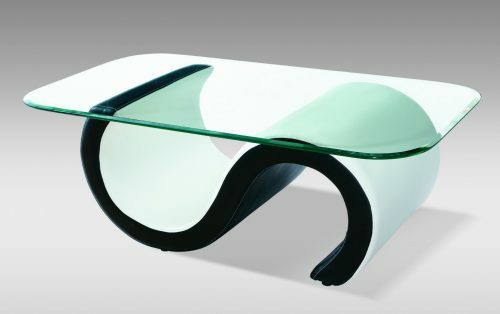 L49" x W28" x H16"